Good morning. It's Friday, Jan. 4. • Sen. Dianne Feinstein says she backs Joe Biden for president. • A gig economy ruling leads to an exodus from strip clubs. • And the slow death of the West Coast’s biggest bird oasis. California water officials — Sean De Guzman, left, and John King — calculated the snow depth at Phillips Station on Thursday. 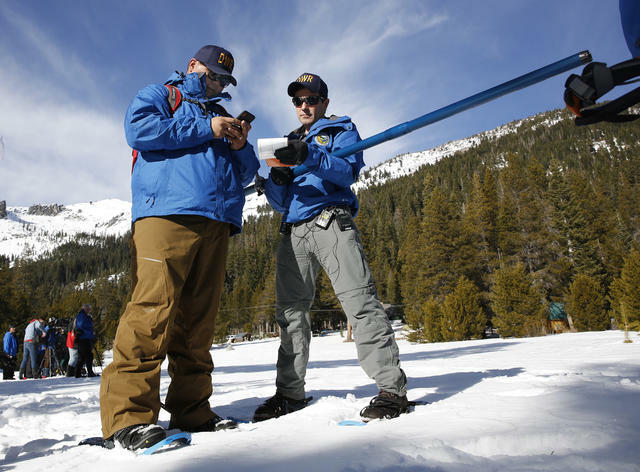 State water officials trudged into the snow near Lake Tahoe for the largely ceremonial first snowpack survey of 2019. Across the Sierra Nevada, whose runoff meets a third of California's water needs, the snowpack is light — 67 percent of normal — yet better than last year. The reading is poised to get a boost. Forecasts are calling for a snowy and rainy weekend across much of the state. Sen. Kamala Harris may run for president, but her California colleague Sen. Dianne Feinstein is already throwing her support behind another Democrat: Joe Biden. "I'm a big fan of Senator Harris," Feinstein said, "and I work with her. But she’s brand-new here, so it takes a little bit of time to get to know somebody." 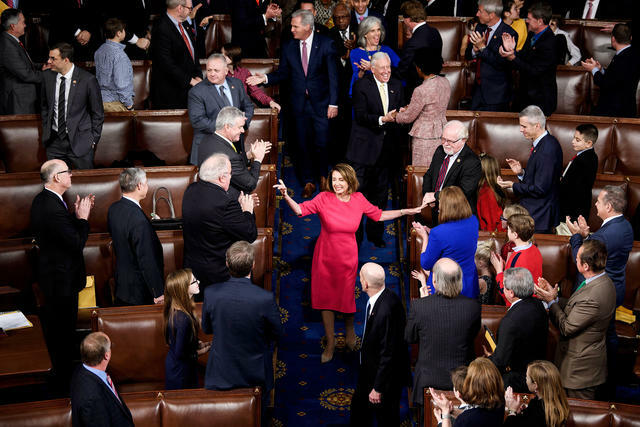 Rep. Nancy Pelosi was congratulated after being elected House speaker on Thursday. On the day that Rep. Nancy Pelosi was sworn in as House speaker, she clashed with President Trump almost from dusk until dawn. Now second in line to the presidency, the San Francisco Democrat began the day by suggesting Trump could be indicted. Later she rebuked him over his demand for a border wall, calling it "an immorality." 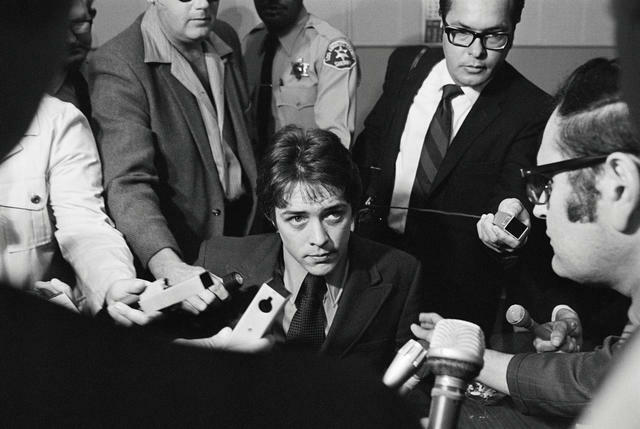 Robert Beausoleil talked with reporters after a jury returned a verdict against him in 1970. Charles Manson follower Robert Beausoleil has served nearly half a century in prison for the 1969 killing of Gary Hinman, who was tortured for three days before his death. Now a California parole board has recommended for the first time that Beausoleil, 71, be freed. Gov. Jerry Brown reliably blocked releases of Manson followers. Beausoleil's fate will be up to incoming Gov. Gavin Newsom. Fifty people died in car accidents involving drivers under the influence of drugs or alcohol over the New Year's weekend in California, the authorities said. Even so, it wasn't the deadliest holiday period of the year. That was Thanksgiving weekend, when 59 people died in crashes involving impaired drivers. 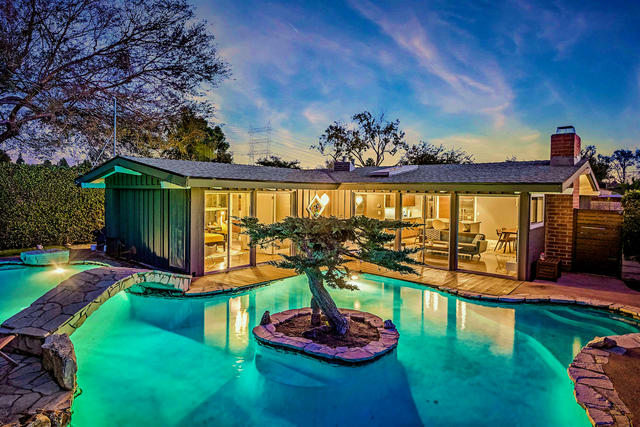 A Cliff May ranch house has an unmistakably midcentury vibe. 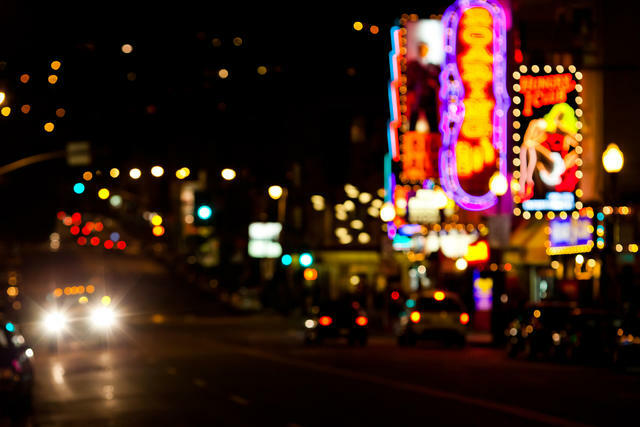 Strip clubs in San Francisco's North Beach neighborhood. Last year, the California Supreme Court made it harder for companies to classify workers as independent contractors rather than employees, dealing a blow to the so-called gig economy. 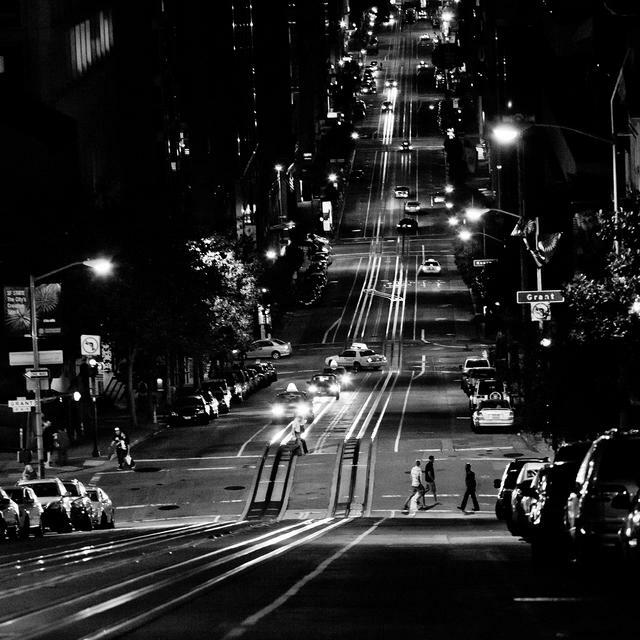 Now the ruling is reverberating in an unexpected industry: San Francisco's strip clubs. The move to convert dancers to employee status is causing an exodus. "This whole business will be completely ruined," one dancer said. Red-tailed hawks. 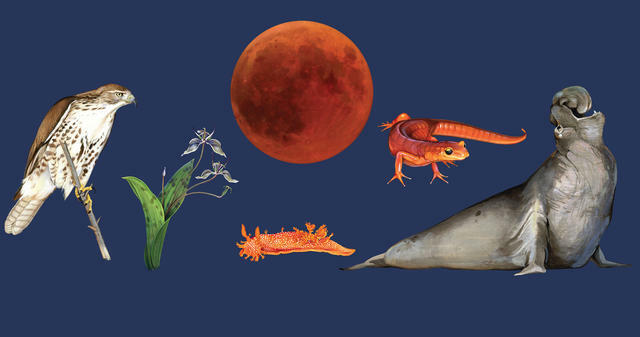 A rare super blood moon. And violent, undulating, snorting elephant seals. Here's a great illustrated guide to six natural wonders to watch for this winter in the Bay Area. 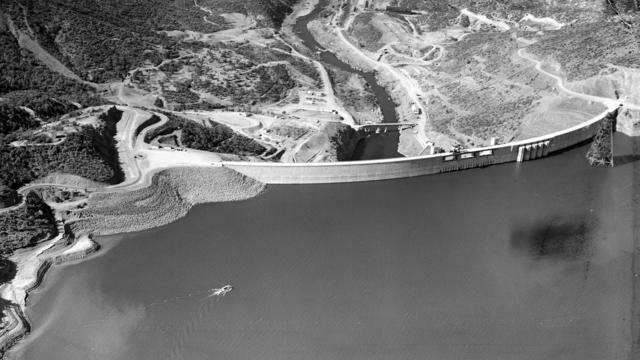 The Shasta Dam construction site in 1941. 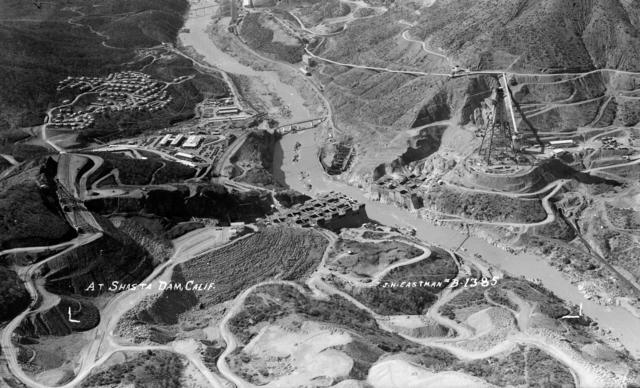 The completed dam in 1946. Here are before and after images — captured from roughly the same angle — of Shasta Dam, completed on this week in 1945. The damming of the Sacramento River just north of Redding was undertaken to wrangle the water supply for Central Valley farmers beset by drought, salinity, and destructive flooding. It also submerged scores of sites sacred to the Native American Wintu tribe. Now a new fight is raging over Shasta Dam. The Trump administration is moving to raise the 602-foot barrier, which is on federal lands, despite fierce objections from environmentalists, tribal leaders, and the state. 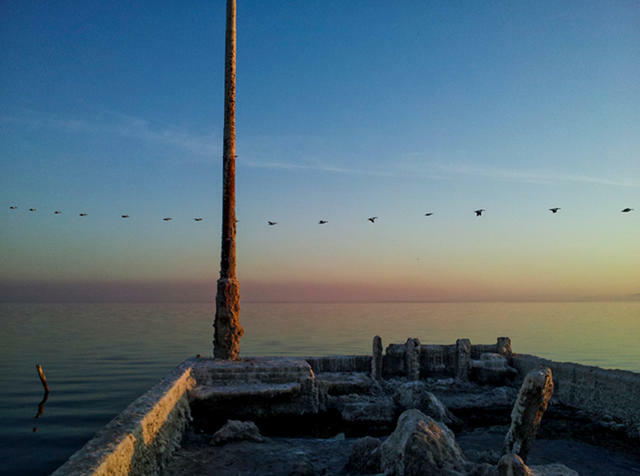 The Salton Sea is a key stopover for birds migrating along the Pacific Flyway. The Salton Sea is the West Coast’s biggest bird oasis — and it's dying. The end of state-mandated inputs of water is causing the lake to shrink faster, making it saltier and more inhospitable to birdlife. "There are cascading impacts all the way down on various bird populations," a Salton Sea expert said. "Part of the message is that there's not that many places left for the birds to go — so this place is important." The N.Y. Times delved into how Orange County, once a fortress of conservative Republicanism, turned so blue so fast. One place to look for clues: Bolsa Avenue. "The auto body shop, the tax preparer, a church, a food market, countless restaurants — all are marked by signs written in Vietnamese." This is Children’s Pool in La Jolla. It's been the subject of a bitter fight over public access. The beach was created by a concrete seawall in the early 1930s with the express purpose that it serve as a swimming area for kids. Then a colony of harbor seals showed up in the 1990s. The city started closing the beach in 2014 during pupping season, sparking a legal war that has yet to be resolved. 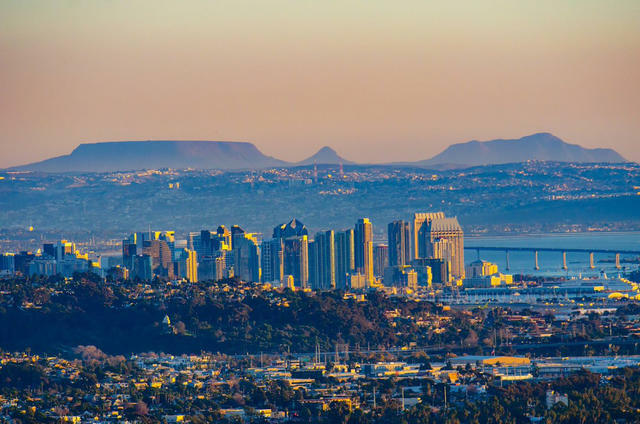 San Diegans swooned on social media after a photographer posted this stunning shot of the city's skyline with Mexico in the distance. Many said they'd never seen the view so clear. The Bay Area is no place for artists, teachers, blacksmiths, and mechanics, a writer said. Get your California Sun T-shirts, tank tops, and sweatshirts over at Cotton Bureau — now including kids' sizes!